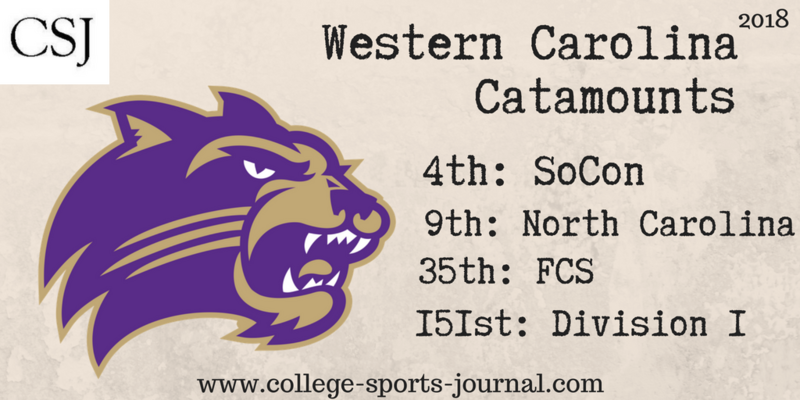 2017 In A Sentence:WCU had a solid bounce-back season from 2016, but their modest playoff hopes were derailed by overripe non-league slate and two tough road losses in league play. Biggest Shoes to Fill: RB Detrez Newsome was a potent all-purpose weapon for the Catamounts both rushing and receiving and on kickoff returns. His 1,536 all-purpose yards and 9 TDs will be a big gap to fill for head coach Mark Speir. Key Player: Without Newsome in the backfield taking the pressure off, how does QB Tyrie Adams adjust? Last season he found WR Terryon Robinson an awful lot, connecting for 896 yards and 10 of Adams’s 22 TDs. Adams took off a lot himself last season, but it looks like a bigger percentage of the offense will run through him in 2018. Can he lift them to bigger heights? Fearless Prediction: The Catamounts have a feather-light schedule until early October, when a two-game road stretch vs. Furman and Samford will likely determine the course of the season. Can they win one, or both, and be in the driver’s seat for the SoCon championship?